Born and raised in Mexico and now living in the United States. And, although I have now been living Stateside longer than the amount of time I lived in Mexico, I often find myself reminiscing about a time when I used to wake up to the smell of café de olla coffee (pot coffee), freshly-made corn tortillas, and the pungent smell of roasted hot chile peppers. After all these years, my taste buds still refuse to savor ANY food without the flavor of spices and hot peppers. I love writing about culture because it has been a big theme in my life. Ever since I migrated to the United States from Mexico as a teenager I have come to experience and understand cultural identity, multiculturalism, bilingualism, displacement, and immigration. Aculturame was born out of the idea of those memories and my desire to stay connected to my country. What I miss most about my country is the food, cultural festivals, holidays, traditions, the people, and of course my hometown. 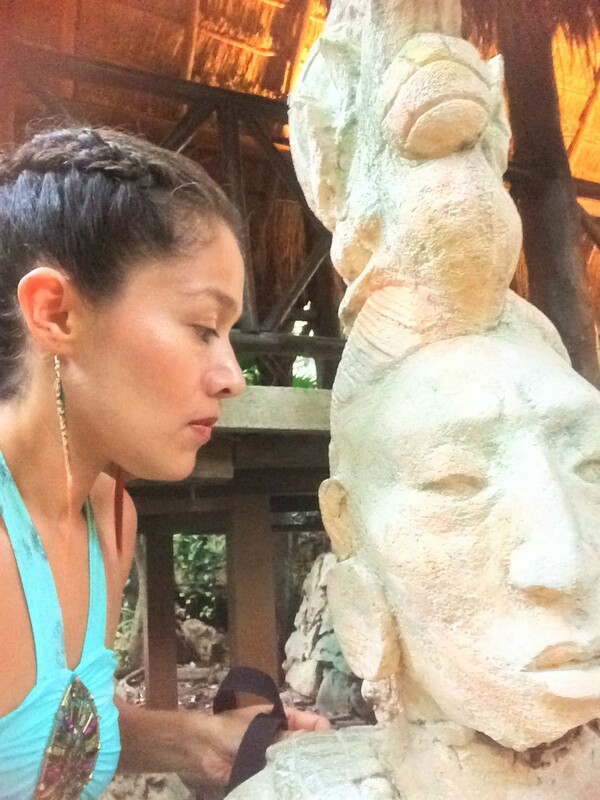 Aculturame is my personal travelogue and also an educational resource where I will share with you everything I’ve learned about Native culture in the world and my own country as well. You might wonder why Native culture? Because Native culture is still to this day the most undervalued and underrepresented culture in any country in the world. You don’t have to travel as far as Machu Picchu to learn about the awesome indigenous civilization that once thrived in Peru, there are many places even in your own hometown with a history of the Native people who once lived there. The places I chose to blog about in this website are places I’ve actually visited. They are places with an interesting history about the first peoples who lived there. They may not necessarily be tourist destinations, but are certainly places where the Native story has yet to be told or it has been forgotten. If you’re interested in learning more about a particular topic in my blog send an email or I invite you to connect with me on Facebook, Instagram, YouTube. I invite you to follow my Facebook Page where I am constantly sharing interesting topics about travel and culture as well as updates about my next blog posts. Hi Liz – lovely introduction. How are you? I appreciate you always following my stories even though I don’t post regularly. Now stuck with some thesis work which is quite time-consuming, or maybe I am just not efficient hahaa. I see that you also don’t post often, however when you post, it’s creative and nice to read. Keep up the good work. Thank you for visiting my blog, I also found yours very interesting especially the one about your visits to Spain!